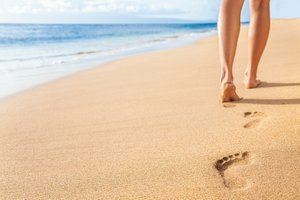 Whether you're looking for that perfect place to pop the question, trying to impress a first date, or hoping to spontaneously sweep your lover off their feet, there's an ideal destination for wooing. 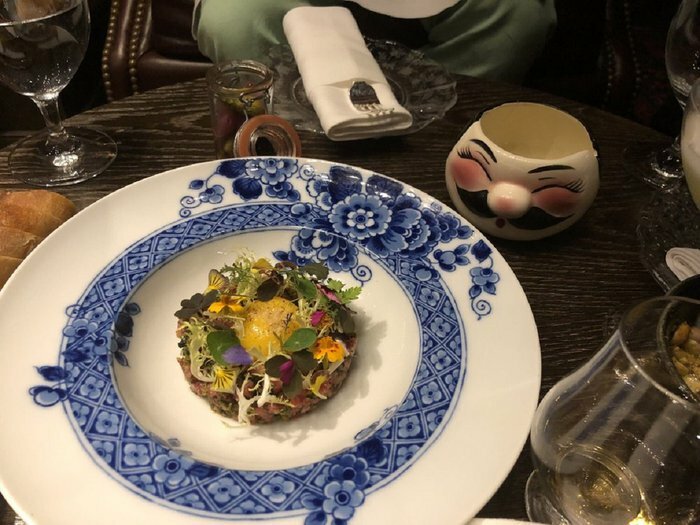 And though some of those spots are fancy restaurants or luxury hotels with sweeping views, plenty of low-key locales are just as (if not more) amorous. Plus, while some couples' idea of a dreamy night out includes a seven-course meal, others might prefer a treacherous hike to reach an other-worldly vista. So with that diversity in mind, we scoured message boards, chatted with locals across the country, read reviews, and consulted award lists to find the most romantic spots in the U.S. They range from secluded beaches and trails to sky-high restaurants, historic homes and natural wonders. Whatever type of romance you're in the mood for - adventurous, peaceful, over the top, etc. - there's a special spot to go with your sweetie. 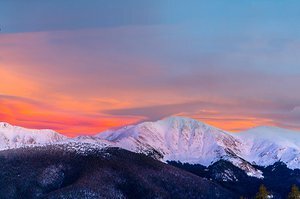 Telluride is known for world-class skiing, a laid-back vibe, vibrant culture and shorter lift lines, but it's also home to plenty of unparalleled romantic experiences. 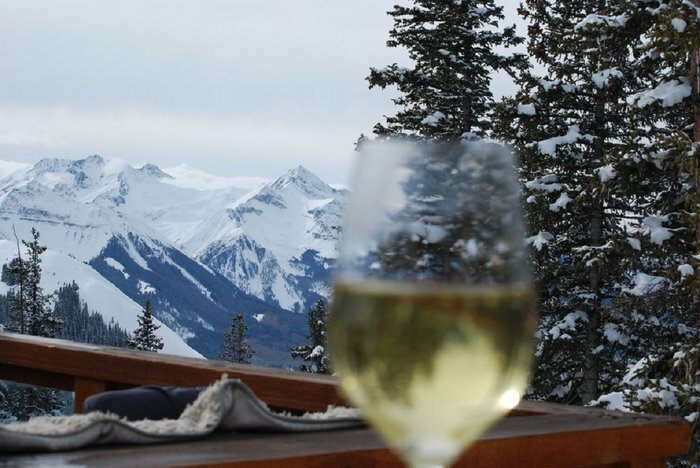 For example, Alpino Vino, the highest-elevated restaurant in North America at 11,966 feet, sits atop the mountain and features expansive views of the Wilson Range and serves Alpine gourmet comfort food with a world-class wine list. Wine with a view? Count us in. 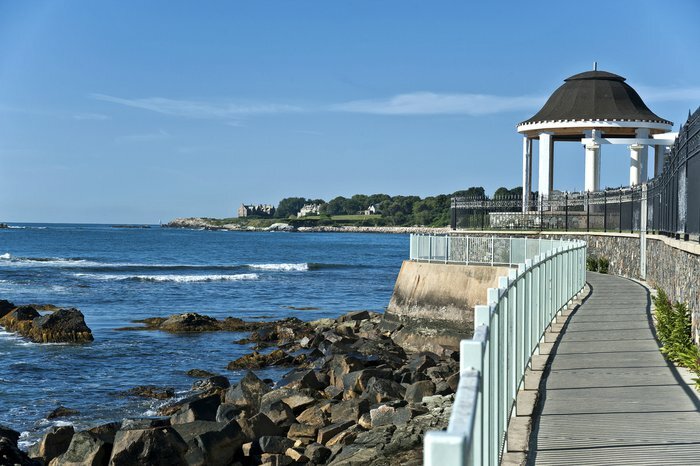 From the sea breezes floating in the air to the opulent sunsets, Newport's famed Cliff Walk oozes romance. Guests can wind their way through the 3.5-mile path hand in hand while marveling over the 19th-century mansions - including some owned by the Vanderbilt family - that line the walkway. To up the ante on that romance factor, book a stay at a vintage Newport mansion turned luxury boutique hotel, The Chanler. It sits along the famed walk with stunning views of the Atlantic, and they offer a butler-drawn bath with essential oils. Kayaking at sunrise surrounded by dolphins? Sounds like the makings of a mushy romance film. But it's real life at Montage Palmetto Bluff, one of the most beautiful hotels in the world. Yes, the property is perched next to the May River, so couples can head out to the water in the early morning to view the pink horizon as the friendly creatures tag along. 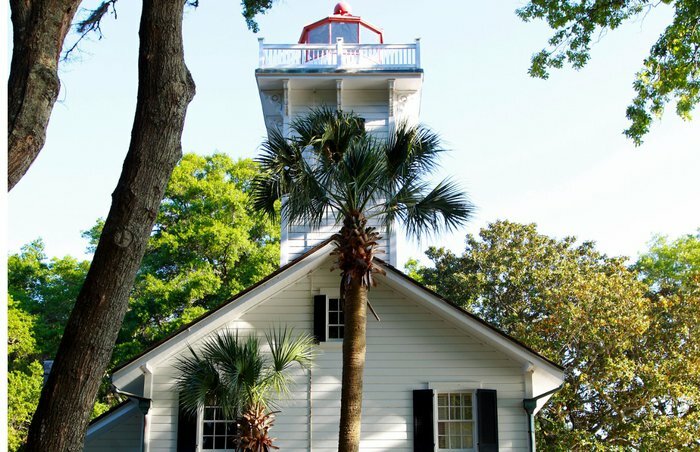 There's also the beautiful waterside May River Chapel, where many duos - including Victoria's Secret model Lindsay Ellingson and her husband Sean Clayton - have said "I do" with stunning views through its arched windows. Imagine falling asleep to just the sounds of the breeze rustling through the leaves while you watch your campfire burn from bed. 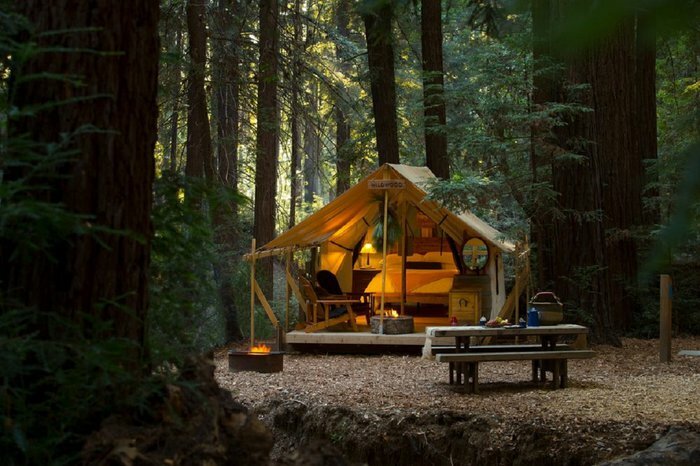 That's exactly what happens at these luxurious camping sites in the middle of the Redwood forest. Although you have access to the famous (and also romantic) Ventana Big Sur hotel, you'll totally get lost in love when staying in one of their safari-style tents. It's only accessible by foot, and you're more likely to see an animal than another human. Plus, the tent is stocked with snacks, heated blankets and custom picnic baskets, and you sleep in a real bed with plush sheets. 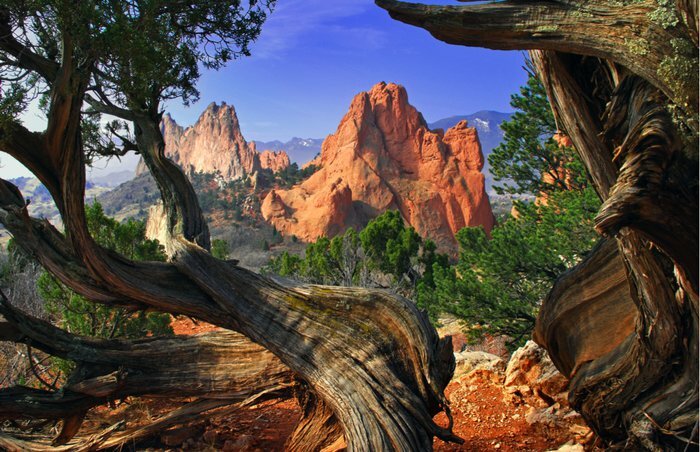 How can a place not be dreamy when it's called the Garden of Gods? The beautiful public park is filled with some of the most stunning natural red rock formations. Just wander through the whimsical spot taking in the views, go on a horseback ride, or, for the adventure seekers, go rock climbing and get a bird's-eye perspective of the area. 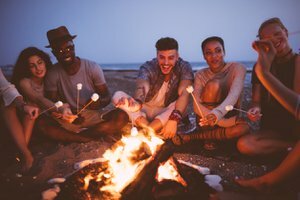 There are even camping options for couples who want to experience the National Natural Landmark at sunrise and sunset when it's even more romantic. 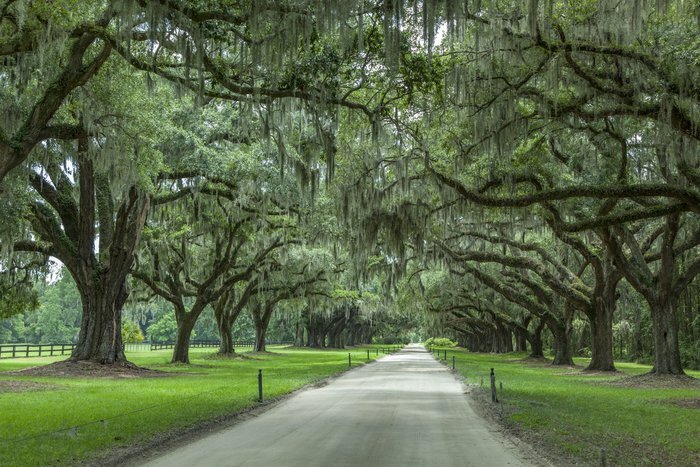 One of the Lowcountry's most picturesque landmarks, Boone Hall Plantation is also popularly known as being Allie's summer home within Charleston's favorite love story, "The Notebook." Couples visiting for a romantic getaway can relive the classic film scene-by-scene with "Noah and Allie's Timeless Romance Package" at HarbourView Inn, which features visits to many of the movie's actual filming locations, including Boone Hall Plantation and the American Theatre. No cars are allowed in this private enclave on Daufuskie Island, and it's only accessible by boat. So, you're bound to find a little privacy. In fact, many celebrities seek refuge here. But the most romantic spot of all has to be the lighthouse. Built in 1872, the beautiful waterside structure was the setting for a real-life 19th-century love story between the lighthouse keeper's daughter and a naval engineer. Now, it's still a top spot for couples looking to get engaged, get married or just to spend the night overlooking Calibogue Sound. 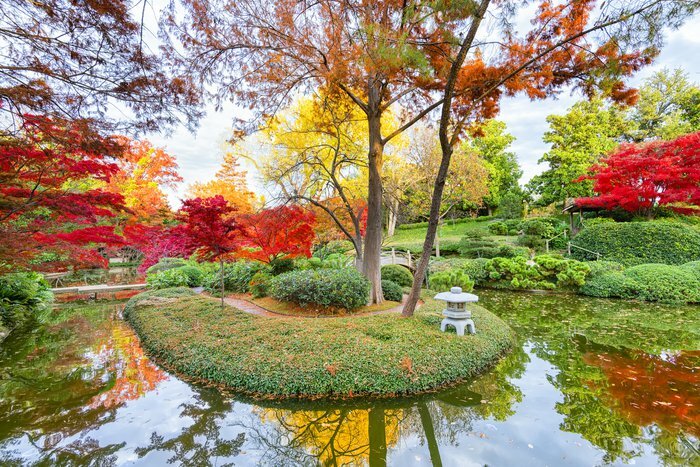 A true hidden gem, the Fort Worth Botanic Garden is the oldest botanic garden in Texas and is home to more than 2,500 species of plants in its 23 specialty gardens. One of the oldest gardens in the Fort Worth Japanese Garden. Completed in 1973, the Japanese Garden has winding paths through landscapes surrounded by 7.5 acres of cherry trees, Japanese maples, magnolias, bamboo, scenic bridges, and ponds which are home to over 1,200 koi fish - making it the perfect spot for a romantic outing or even a memorable proposal. 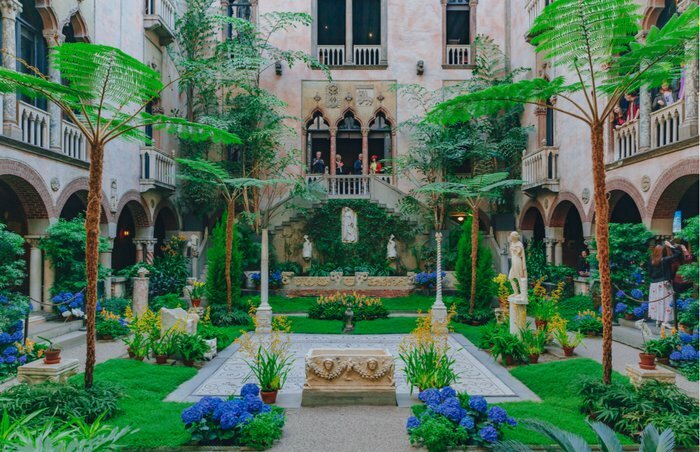 Even in the dead of winter, you could escape to the Isabella Stewart Gardner Museum and feel as if you've been on a tropical vacation. The historic gallery was built to resemble a 15th-century Venetian palace complete with a sunlit interior courtyard and palm trees. Spend the afternoon with your significant other perusing works by Rembrandt, Michelangelo and Matisse - the first piece by that artist to enter an American collection, in fact - before quietly chatting on a bench overlooking the impressive indoor garden. Get ready for that #couplesgoals Instagram post. Arkansas' best kept travel secret, the rock formation is one of the most photographed in the state. And it's easy to see why. 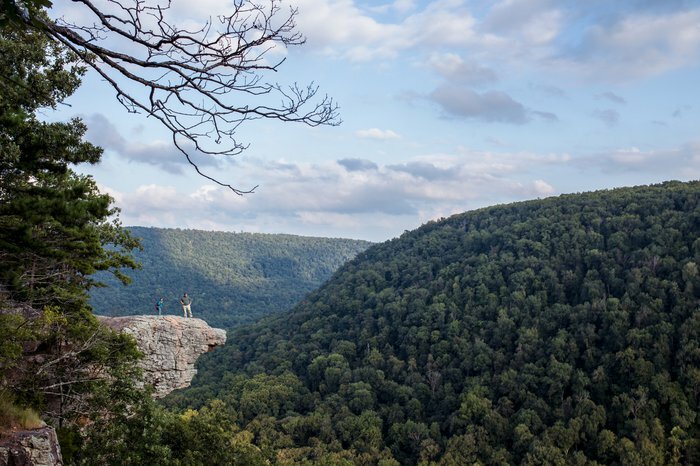 Overlooking the rolling hills of the Ozarks, the rock ledge juts out above the valley, making for swoon-worthy views. It's no wonder there are so many proposals that take place here. It's a bit of trek to make it to the romantic spot, but it's worth it. 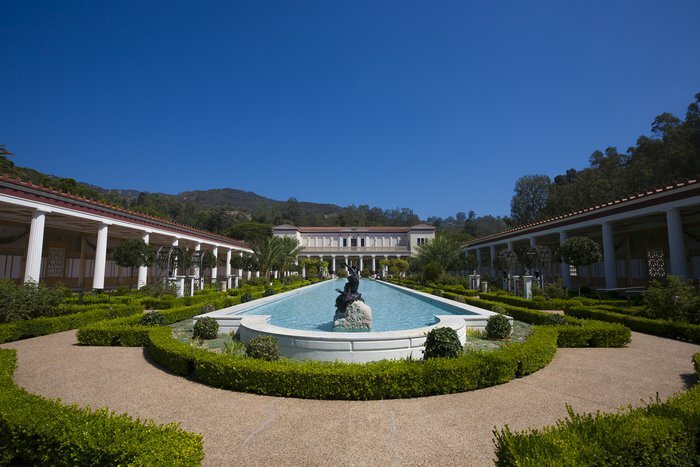 While many visitors will head to the Getty Museum in Los Angeles for an art fix, the nearby (but quieter) Getty Villa is the perfect setting for some romance. It's perched above the Pacific Ocean and features a collection of 44,000 Greek, Roman and Etruscan antiquities dating from 6500 B.C. Wander from gallery to gallery, taking a break at the inner or outer peristyle and taking in the views of the surrounding mountains. It's easy to lose your sense of time here, making it ideal for a peaceful day retreat. This luxury Relais & Châteaux property was a favorite hideaway for Grace Kelly, so you know it has to be pretty special. She loved one secluded rocky beach so much that the staff actually built steps for her to access it easier. That peaceful spot has since been named after her and is where couples still go today to find some solitude. Book one of the nearby Harbor House rooms, which overlooks Narragansett Bay, and sneak down to the hidden nook to take in the sunset with your loved one. Imagine watching lava bubbling from a crater from the comfort of your hotel room. Well, that's precisely the experience you can get when you book a room at the Volcano House. It's the only hotel located in Hawaii Volcanoes National Park on the rim of Kilauea's Halemaumau crater, making for some pretty dramatic (and consequently romantic) views. Have dinner after the sun goes down in the Rim restaurant where the reddish glow from the volcano will illuminate your chef-prepared meal. Or wake up early to have coffee while watching the sunrise over the natural wonder. Everything about this Maine island 6 miles out to sea is picturesque. The 40-minute ferry ride to get to it is magical. The 18 miles of trails dotted with varying shades of green evergreens are all worthy of exploring. And the quaint post office is straight out of a storybook. Spend the night at The Keeper's House Inn where you'll fall asleep to the sound of the waves and views of the historic lighthouse. 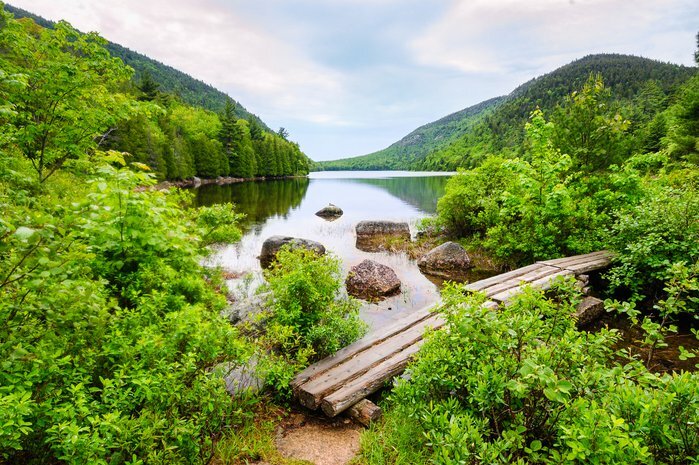 There are no telephones or power lines in sight, making it the perfect way to experience the beauty of Acadia National Park without the crowds. 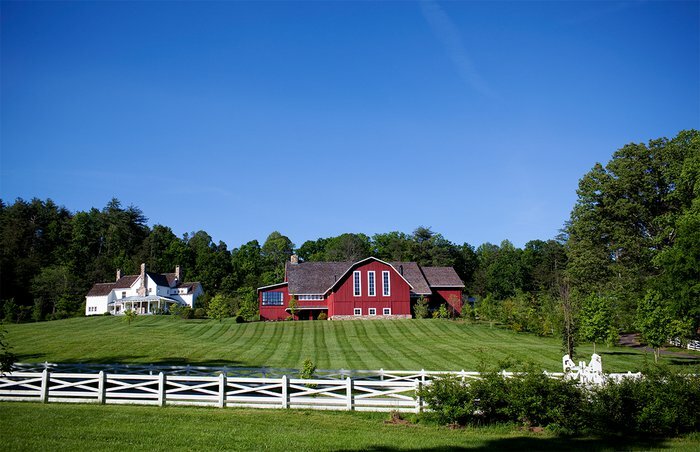 Foodie fans seeking a bit of delicious refuge have long been coming to Blackberry Farm located in the Smoky Mountains. The luxury farm hotel, one of the most charming in the country, is set on 4,200 acres of stunning land that couples are encouraged to roam. Go hiking, horseback riding, cycling or hiking on the grounds, or partake in a relaxing yoga class. After a busy day outside, guests can retire to their secluded cottage. The best part of all? Gourmet meals are included with your room rate. 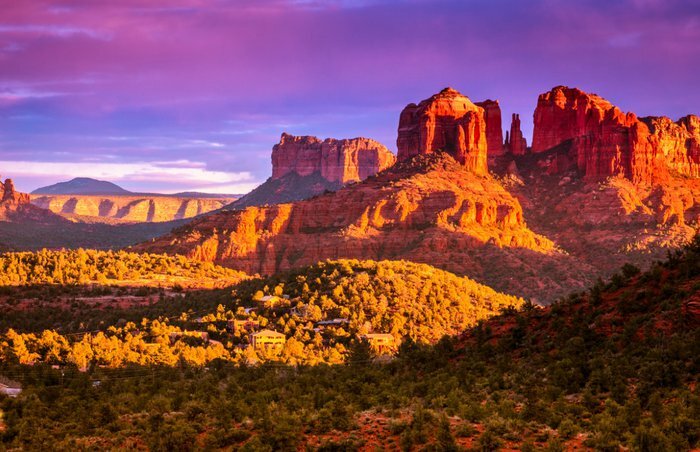 One of the most underrated tourist spots in the world, Sedona is known for its stunning red rocks and spiritual atmosphere. Not surprisingly, it's become a popular town for couples to flock to for some respite. And while there are plenty of romantic hotels like The Enchantment and L'Auberge de Sedona, one of the dreamiest spots is out in the wild. Cathedral Rock is a sandstone rock formation that hovers grandly above the city. You can hike through the iconic landmark with your loved one. But be careful, because some areas are a bit treacherous. This luxury hotel is so focused on helping couples get away from it all that there are no kids or pets allowed. Plus there are no phones in the rooms, and you can barely get a cell signal. 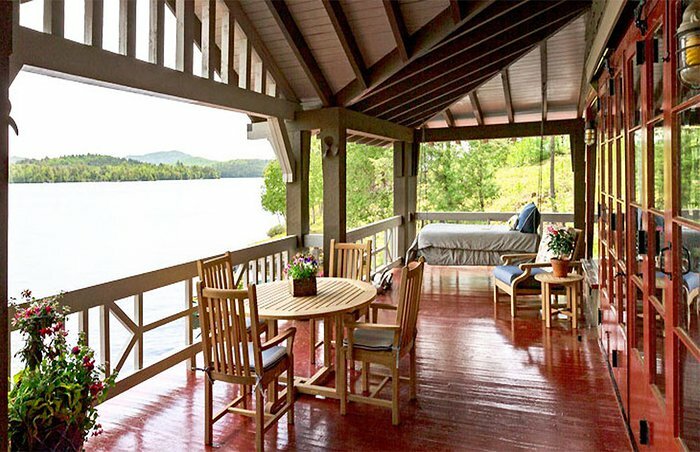 Instead, you're invited to hide away in your lakeside cottage designed by a Frank Lloyd Wright protégé, have a picnic in the woods, sip on vintage wine and go canoeing on the pristine lake. The resort is extremely romantic, and it's the only property in the Midwest that's Relais & Chateaux certified. There are only 11 rooms at this hotel that was once the vacation home of William Avery Rockefeller. And you'll quickly feel like a Rockefeller here. 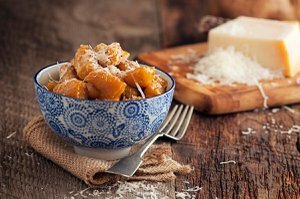 All meals - which are chef-prepared - are included with your room rate, and dinner is an elegant affair. Saturday evening dinner is black tie-optional and starts with a boat ride around the lake. Up the ante on the romance during the day by booking a picnic on the private island, where a blanket or table and chairs will be waiting. 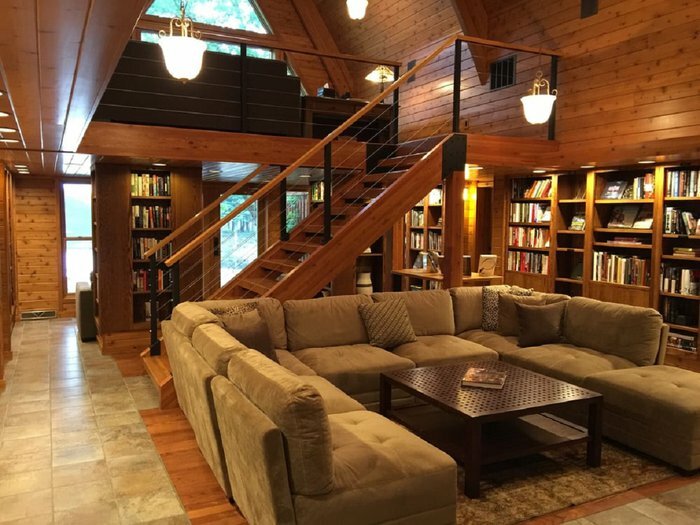 What makes this place even more alluring is that it's the only Forbes Five Star property in upstate New York. Hidden away next to The Aviary NYC's Drink Kitchen at the Mandarin Oriental, The Office NYC is only accessible through a secret passageway. The secluded speakeasy transports guests back in time as you can sip on Prohibition-style cocktails using some of the rarest spirits in the world. To create even more of an ambiance, the private bar is surrounded by an incredible art and artifact collection that's sure to spark conversation. They even have The Dusty Bottle Experience, where vintage classic cocktails are paired with complementary dishes. It's the perfect place to sneak away with your sweetie. 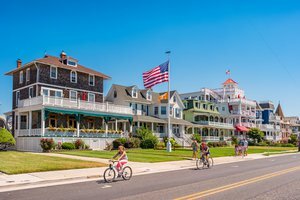 Long Beach Island, New Jersey, is itself a romantic destination, as it's only 18 miles long yet 6 miles out to sea. 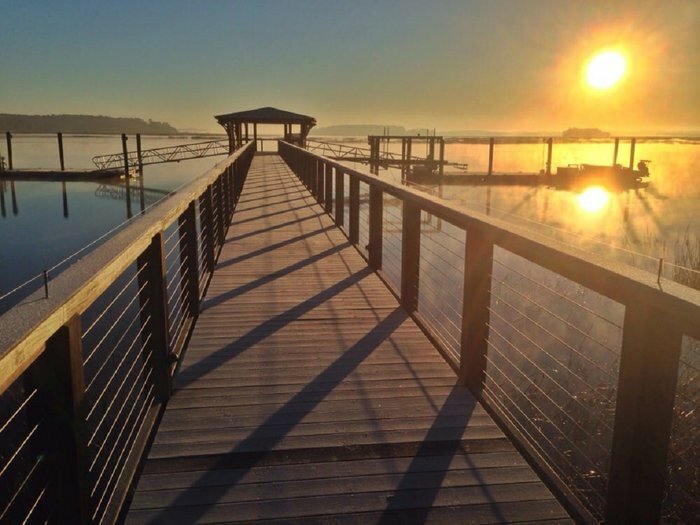 You could spend your mornings and evenings walking along its beautiful shoreline. But the most charming spot of all is The Gables. 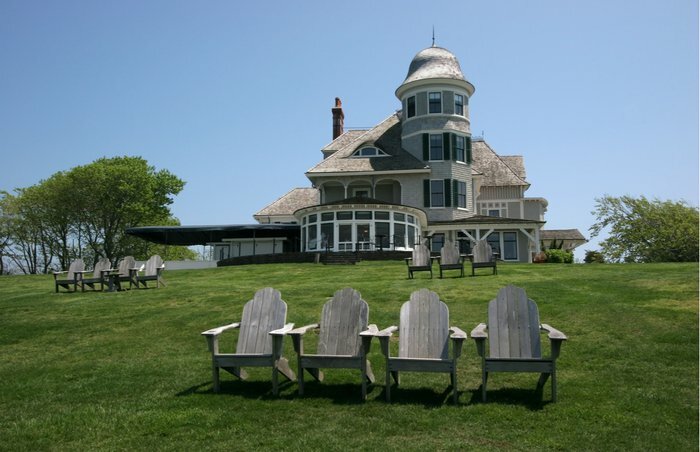 The restored yellow-painted Victorian inn is both a bed and breakfast and an oceanfront restaurant. 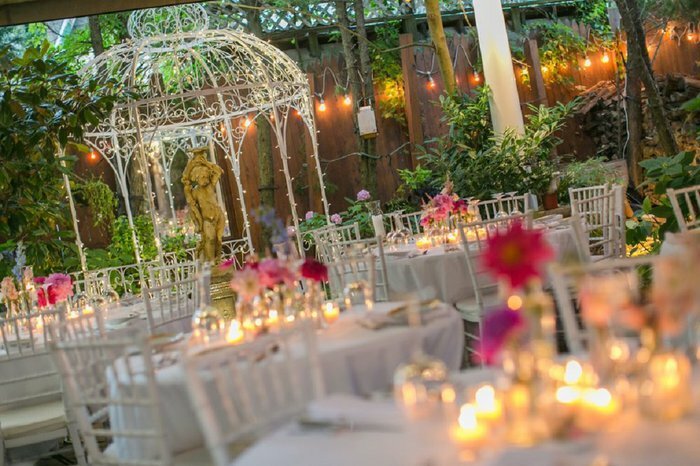 And even though it's quite small, you have your choice of dreamy areas in which to dine. The fireplace, porch and back garden are equally beautiful, and every table is candlelit. After a night of fine dining, walk just a few feet to the beach and watch the meteor showers that occur in August. Hotel Wailea is a boutique adults-only luxury resort in Maui that was voted the No. 1 resort in Hawaii by Conde Nast Traveler. If that's not reason enough to go, then their Treehouse Dining experience is. 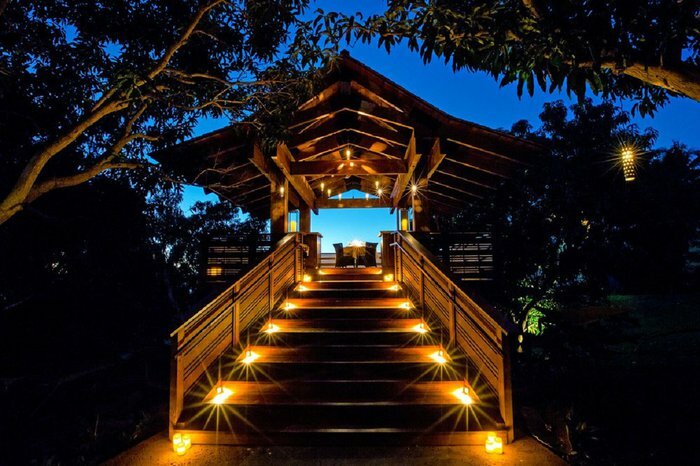 You get a seven-course custom meal while overlooking the ocean from the property's treehouse. The tucked-away place was initially supposed to be a hidden nook to offer massages. But the general manager quickly realized how amazing it would be for private, intimate dinners. It's since become the site for many engagements and elopements. 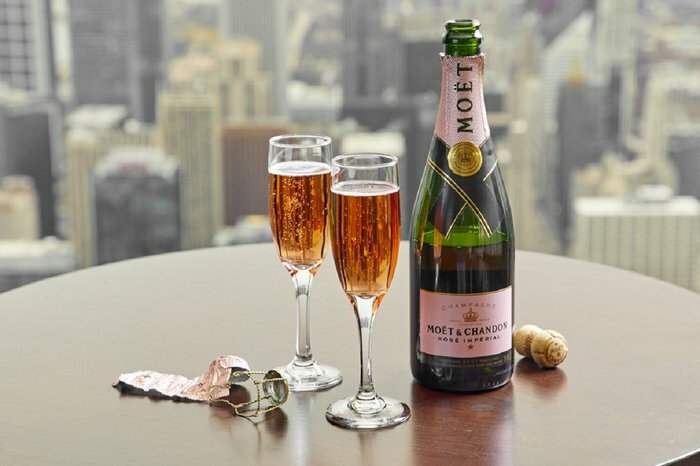 The Signature Room atop the iconic building formerly known as the John Hancock Center is the quintessential proposal spot in the city. Not only does it feature killer 360-degree views of the sparkling Chicago cityscape and Lake Michigan from 95 stories up, but also romantic dining ambiance. Make sure you order one of their signature cocktails and book a table for sunset so you can watch the pink sky give way to a lit-up skyline. Even though it might be a bit cold, it's worth it to trek to Alaska - especially the cozy town of Cleary Summit. 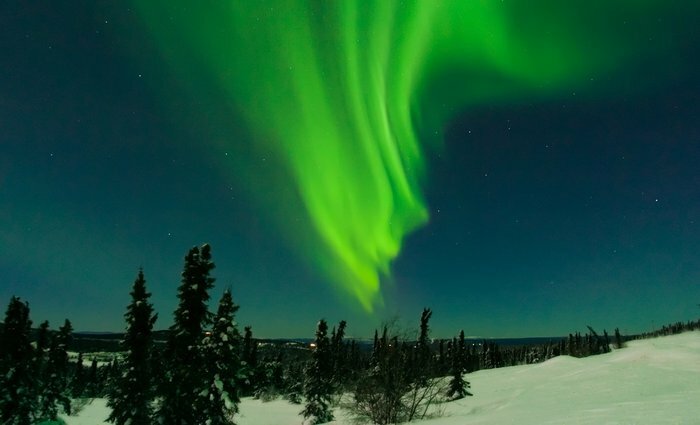 It's located just 20 miles north of Fairbanks and is known as one of the best places to view the northern lights in the world. It doesn't get any more romantic than that! If you need a place to have your wedding, look no further than Seagrove Park, an iconic California seaside getaway. 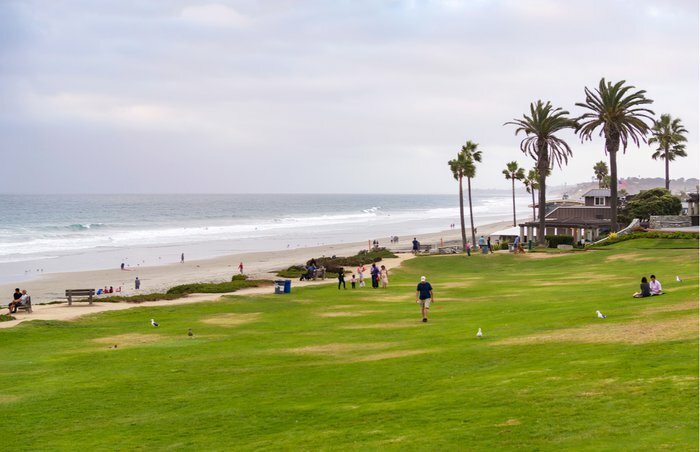 Just steps away from downtown Del Mar, this beautifully landscaped park has impressive views of the Pacific Ocean. Not only do many proposals happen on the beachfront, but it's also a great place where couples can watch the whales frolic through the ocean from December through April. Get your picnic basket ready! 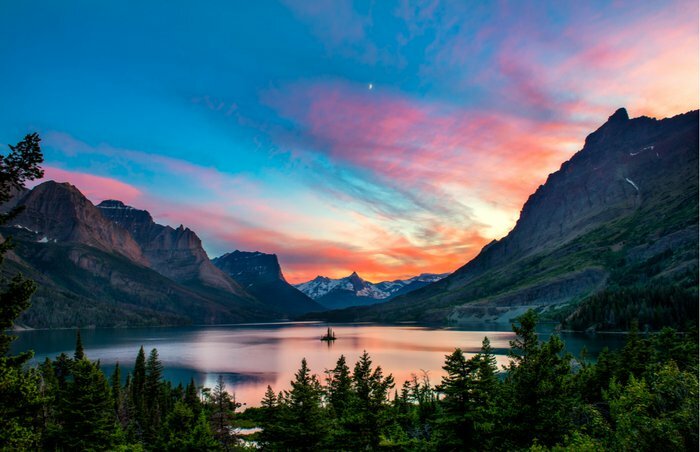 It's refreshing to be outside in the mountains, and now it's even more worth it to take a trip to St. Mary Lake in Glacier National Park because of the phenomenal views. You might also remember a little movie called "Forrest Gump" that talked about the hotspot. "That mountain lake was so clear, Jenny. It looked like two skies, one on top of the other." Ah, sounds like paradise. 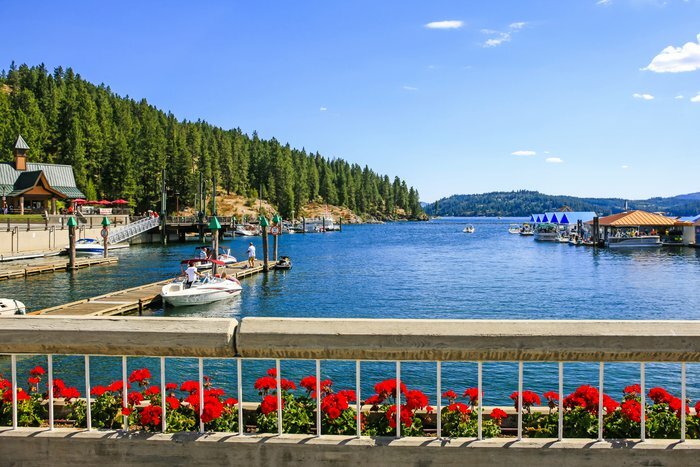 It's no wonder National Geographic chose Lake Coeur D'Alene as one of the top five lakes in the world! Everywhere you look, there are breathtaking water views in this beautiful summer lake town. 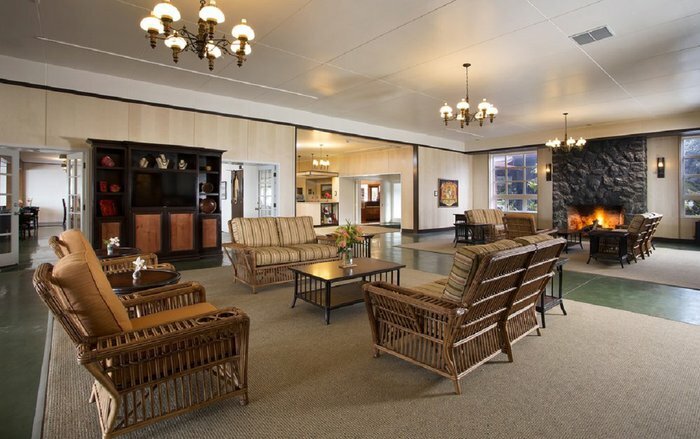 If you need to relax even more, The Coeur d'Alene Golf & Spa Resort was named "The World's Most Romanic Spa" by Sherman's Travel newsletter, so it's time to book a reservation for you and your beau ASAP. 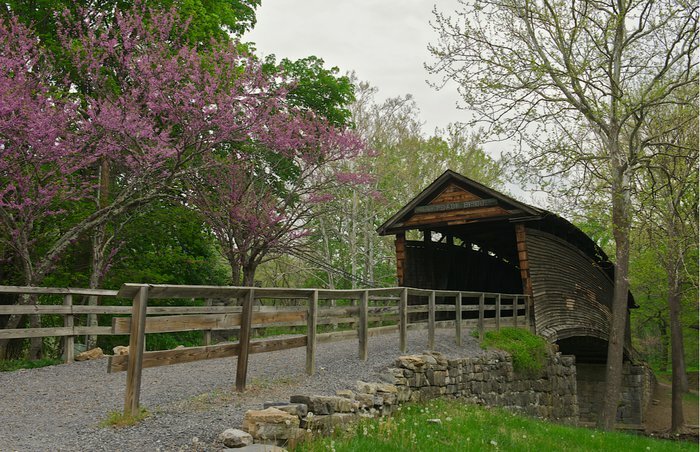 This is the site of Virginia's oldest still-standing covered bridge, which was built in 1857, and has become a popular photo-op for tourists and wedding parties. The landmark is often referred to as "kissing bridges," since the overhead cover provides lovers with just the right amount of privacy. Ever want to run through a field of sunflowers? Well, here is your chance. 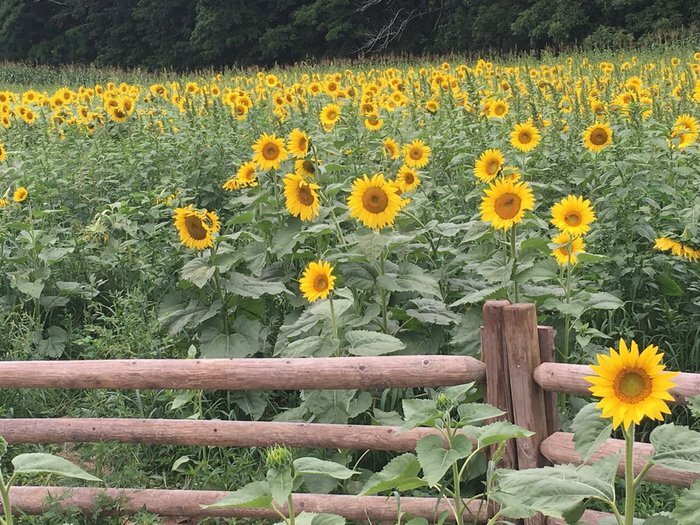 Every year, the Coppal House Farm hosts a sunflower festival, where there are too many sunflowers even to count. Be sure to book a trip around the end of July to the beginning of August, since that is when the fun event takes place. You will be in Instagram heaven. It can be hard to take a moment just to think, but at the Picture Rocks National Lakeshore in Munising, Michigan, it's easy. 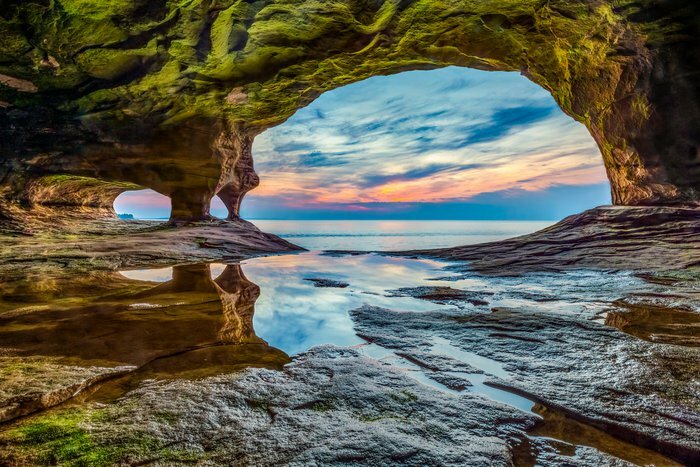 The national lakeshore hugs the south shore of Lake Superior in Michigan's Upper Peninsula and is known for the dramatic multicolored Pictured Rocks cliffs. Visit the 19th-century lighthouse at Au Sable Point, take on the lake by kayak, or hike through a trail at Twelvemile Beach. Mars, is that you? Just kidding. 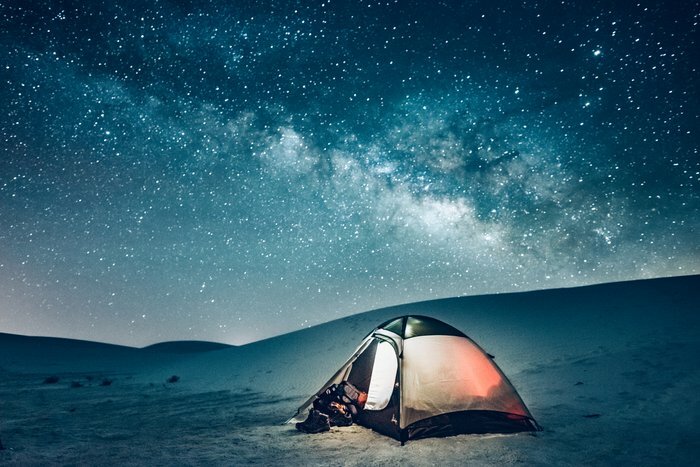 At White Sands National Monument, you will feel like you're in a different world, as it is in the northern Chihuahuan Desert in the U.S. state of New Mexico. You can take in the amazing sand dunes or hike through Dune Life Natural Trail at this American bucket list destination. 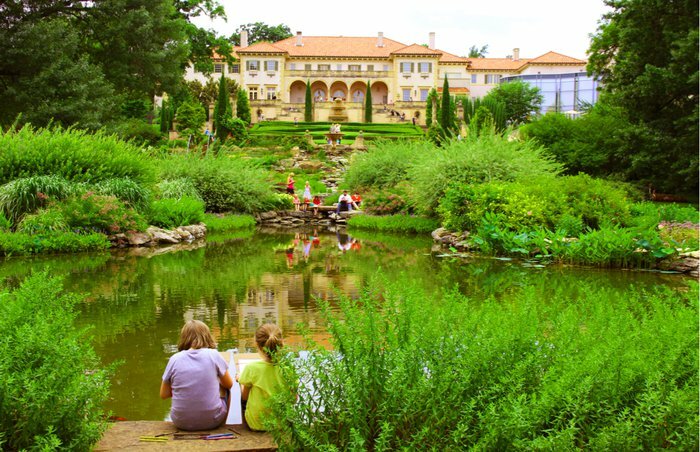 Philbrook Museum of Arts is an art museum in the historic home of Waite and Genevieve Phillips. The former 1920s villa features stunning gardens, so it's no surprise that many people propose or get married on this property. If you don't take a photo here, then you're missing out. 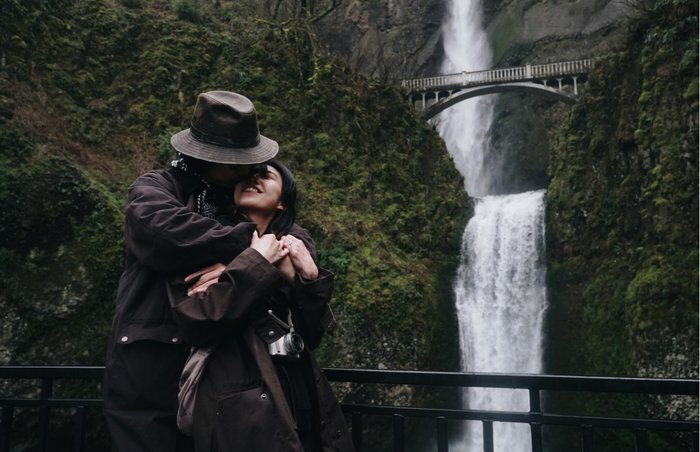 There are so many waterfalls to choose from in Oregon, but Multnomah is definitely one of the most romantic. Whether you want to hike to it, or just take in the view at the observation deck, this is a sight to see. Not only is Multnomah Falls the tallest waterfall in the state of Oregon, but it's also easily accessible and even beautiful on a rainy day. Although Manhattan is always buzzing with hip new restaurants and bars, there's something magical about old-school New York. 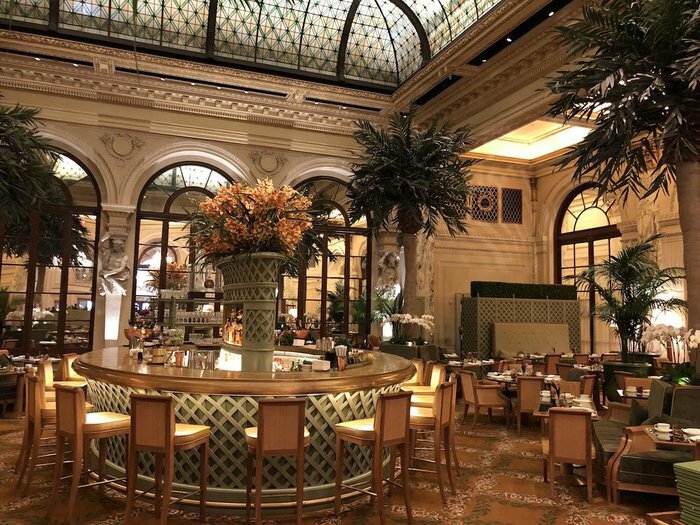 And one of the most timeless spots is the Palm Court at the famous Central Park hotel The Plaza. The iconic restaurant and bar has been around for over 100 years and is the perfect spot to cozy up in a corner with a loved one and enjoy a classic cocktail - The Gatsby Mint Julep is a favorite - under the towering palm trees and stained glass window from 1907. Sneak away here, and you'll feel a million miles away from the hustle and bustle of the street just outside this most spectacular hotel.